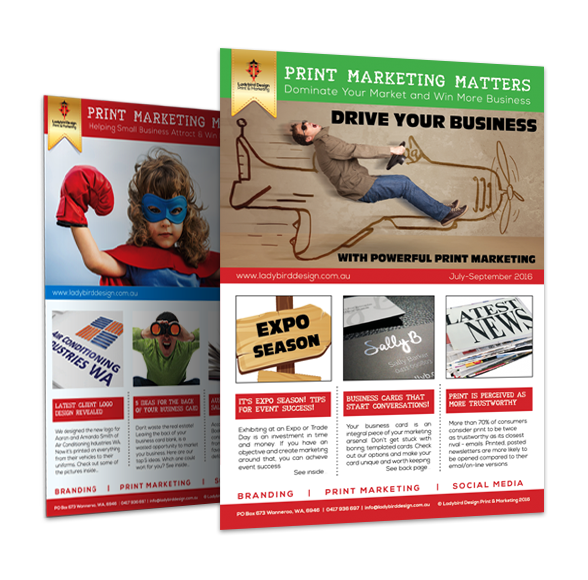 MOTIVATE YOUR CUSTOMERS AND DRIVE MORE SALES WITH THE POWER OF PRINT! Your logo is a symbol of what you business stands for. Unique & distinctive, it helps set you apart from your competition. Print marketing helps drive customers to your business like no other marketing strategy can. View some of our work here. Stand out with show-stopping pull up banners, posters and signs for your next event or trade show. PRINT IS MORE TRUSTED, IMPACTFUL & MEMORABLE THAN ANY OTHER MARKETING STRATEGY. "Working with Ladybird Design has created results that we never thought were possible for our business." "Working with Kristy was such a pleasure. She listens to her client's needs, is intuitive and responsive, and her communication is open and consistent." "Super efficient and professional. 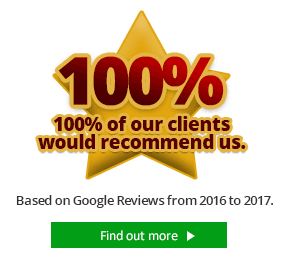 Brochures were completed early and we are very happy with the service and product received." How can print marketing improve your business? Print marketing is engaging and when executed successfully attracts new leads and opportunities. 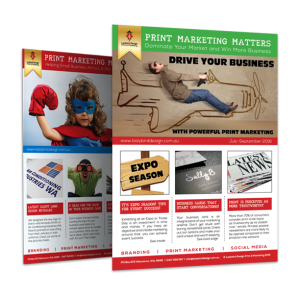 Discover how you can promote your business better in 2017 with Print Marketing Matters. It's 100% free and delivered direct to your business. Don't miss out on our next quarterly issue. What is Print Marketing Matters? Print Marketing Matters is a quarterly design and marketing newsletter initiated by Ladybird Design, Print & Marketing in Perth, Western Australia. Our mission is to inspire, educate and help businesses and professionals to achieve powerful results using print marketing strategies. Your business needs to make sales. We create lead generating marketing to help you achieve that. Check out our graphic design and business printing services. We work to meet your deadlines and offer quick turnaround times should you need it. Just let us know when you request a quote. Whether you're a new startup or an established business, we work with you to help achieve your goals.